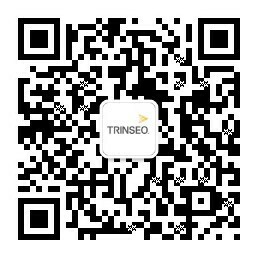 Trinseo (NYSE: TSE) a global materials solutions provider and manufacturer of plastics, latex binders and synthetic rubber, is targeting the medical devices market with its biocompatible glass-filled polycarbonate resins. Trinseo’s CALIBRE™ 5000 series is an ideal material for metal substitution not only because of its strength and stiffness, but its added advantages of aesthetics, ergonomic improvements, and potential cost savings. Glass-filled materials have been used in numerous application areas for years. What differentiates Trinseo’s CALIBRE™ 5000 series is the fact that it has undergone extensive biocompatibility testing according to ISO 10993 standards to provide medical device manufacturers with added assurance of compliancy and patient safety. From an aesthetic perspective the material can be colored for branding and parts-identification purposes. Due to its processability and the design flexibility it allows, parts can be consolidated for cost savings and simplified assembly, reducing the number of seams and crevasses where bacteria can grow. Trinseo has supported the medical devices market for three decades. The company offers a variety of plastics under the brands CALIBRE™ and CALIBRE™ MEGARAD™ Polycarbonate Resins, EMERGE™ Advanced Resins, MAGNUM™ ABS Resins, and STYRON™ Polystyrene Resins. Thermoplastic elastomers offered by Trinseo for soft-touch medical applications are MEGOL™ MED TPS-SEBS Compounds and RAPLAN™ MED TPS-SBS Compounds.